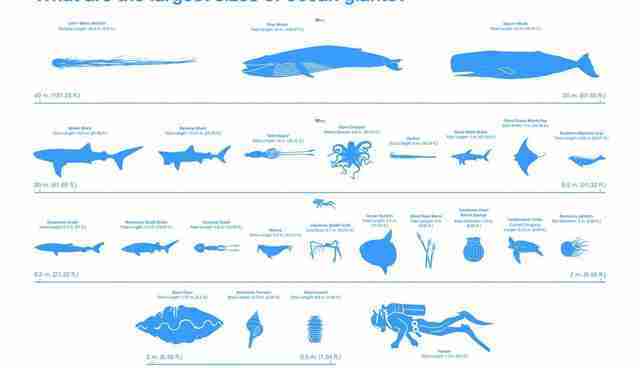 A group of marine biologists recently teamed up to tackle one of the great mysteries of the sea - just how big are the ocean's giants? The new study dispels a few myths about these jumbo swimmers. Craig McClain, an author of the paper and a biologist at National Evolutionary Synthesis Center in Durham, N.C., noted in a statement that reports of 60-foot-long squid have been greatly exaggerated. Those measurements stemmed from decomposing squids who had washed ashore in the 19th century, he said, whose muscle fibers had elongated under the sun. Squids actually max out at about 40 feet, which, you know, is still the length of a bus. The scientists aren't only out to bust myths and boggle minds, however. Recording the size of marine life shines a light on their health and behavior. "Knowing whether a whale shark is 10 tons, 15 tons, or 20 tons lets us know how many light bulbs worth of energy it uses every day," McClain said in a statement. Though the animals might be giants, their size is no guarantee of a future. 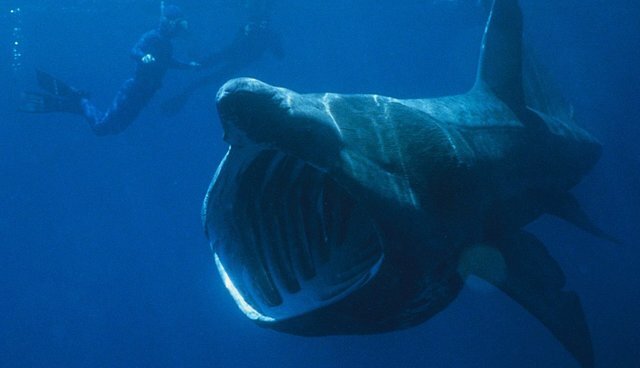 Several of these behemoths are threatened by human activity, including the whale shark, who the International Union for the Conservation of Nature lists as a vulnerable species with a decreasing population. Whale sharks benefited from a few new protections in 2014, including an international agreement prohibiting their trade without permits and growing support of a resolution to keep tuna nets away from these sharks.